Photo transfers and polymer make a perfect match when you’re considering making mementos, charms and tokens. Of course transfers can go way beyond that as Tracy Holmes noted about this Polymer Clay Cubed entry for Synergy from Marty McGraw. 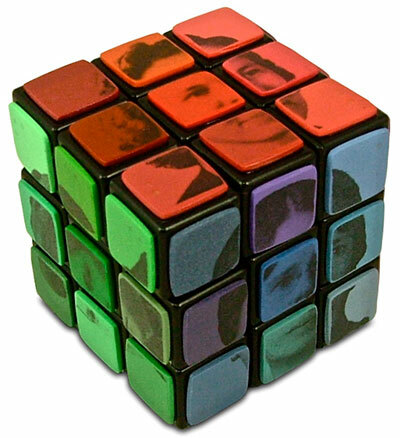 Marty’s Matriarch Cube shows six women in her family revealed in 54 colors. “I had not expected anyone to interpret PC3 in such a profoundly personal way, and Marty McGraw’s six-faced photo homage to matriarchs and matrimony was unexpectedly moving,” says Tracy, the project’s creator. “What a generous gift for a mother to give to her son,” she added. 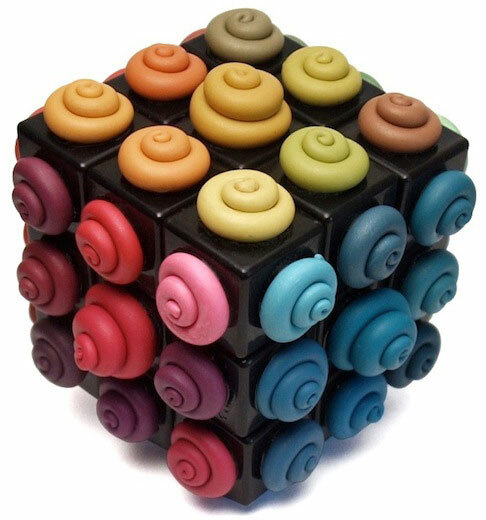 Barb Fajardo’s Curly Cube solved the color problem with a delightfully tactile sculptural puzzle. The color cube project is ongoing (Tracy’s working out the next steps) and you can read more on Tracy and Dan’s Facebook page. 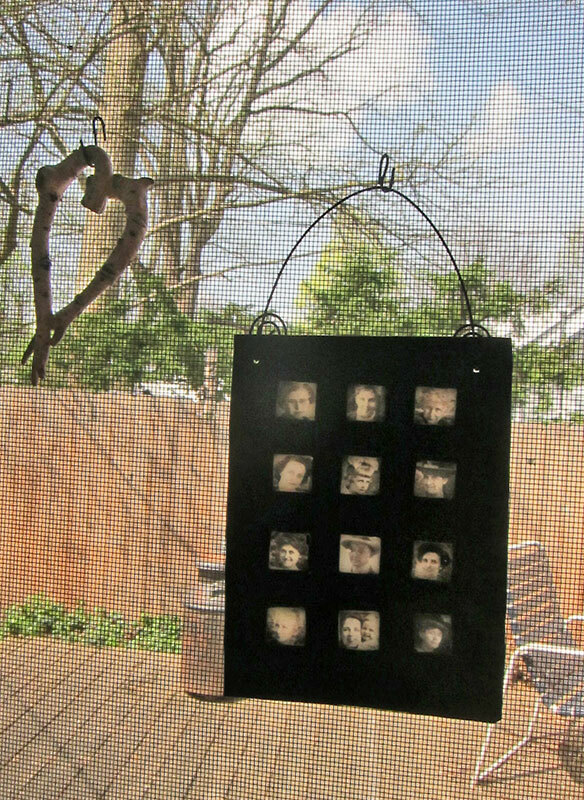 On a personal note, I’ll share this small polymer frame with twelve translucent photo transfers that hangs on the window screen above my sink. It provides a daily reminder of the women in my family. A Wendy Malinow faux birch heart hangs next to the frame and adds a rustic note to my nostalgic view. Enjoy your views this weekend. Marty is super-neat. She approached me in Rabbit Hash, KY when I was exhibiting my work. She wore a Stacker bead necklace that she made herself….and her Stacker beads were eerily close to mine as far as refinement is concerned. I was tickled to see her name and work on PCD this morning. What genius approaches to such a simple concept. I love all the works posted here and the cube with women on each of its sides is absolutely remarkable. Also, the small polymer clay frame is a neat little accessory for any room in my opinion.